Horacio Cortés is an international executive and consultant, an expert in Leadership and Human Capital Advisory Services, with more than 30 years’ of human resources experience, as a Senior Executive as well as a consultant, serving Mexican and multinational companies in the Americas. For the last five years, Horacio was a consultant for International Bank and Banorte, his role was to develop their US banking, securities, and other financial operations. At Blockbuster, Horacio was responsible for Human Resources for Latin America—based out of Miami, he traveled extensively throughout Latin America, serving franchised and owned markets, from 1995 to 1999. Previously, Horacio had senior positions at Bancomer (aka BBBVA) Grupo Financiero Probursa (they became the buyers of Bancomer with BBBVA), from 1986 to 1995. 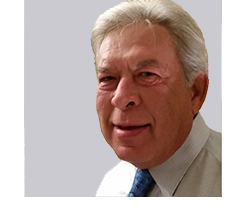 From 1982 to 1986, Horacio worked with PepsiCo, in Mexico as AVP HR for Latin America, then he moved to operations and ran nine plants as Market Manager. He was promoted to Compensation Director for International and moved to headquarters in New York, and finally ended as Market VP Human Resources for PepsiCo Brasil. From 1976 to 1982, Horacio had an extensive career with American Express Mexico from Training Manager up to VP Human Resources.